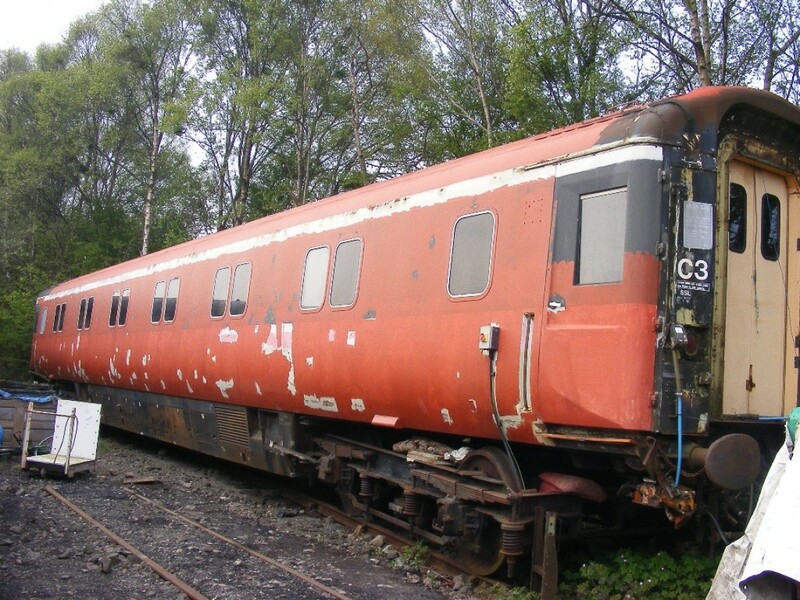 A Sleeper of class (SLE) was a type of railway sleeping car used in Great Britain. 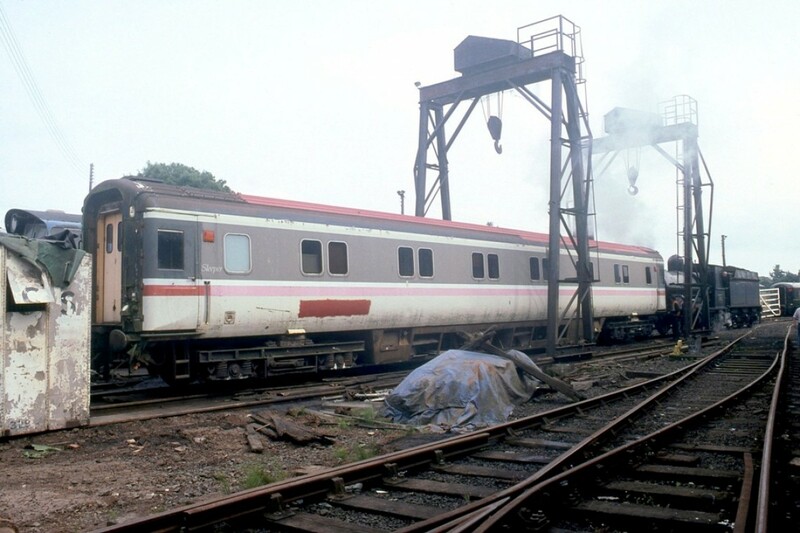 A total of 208 vehicles were built at Derby Carriage and Wagon Works by British Rail Engineering Limited between 1981-1984 to the British Rail Mark 3A profile for British Rail. 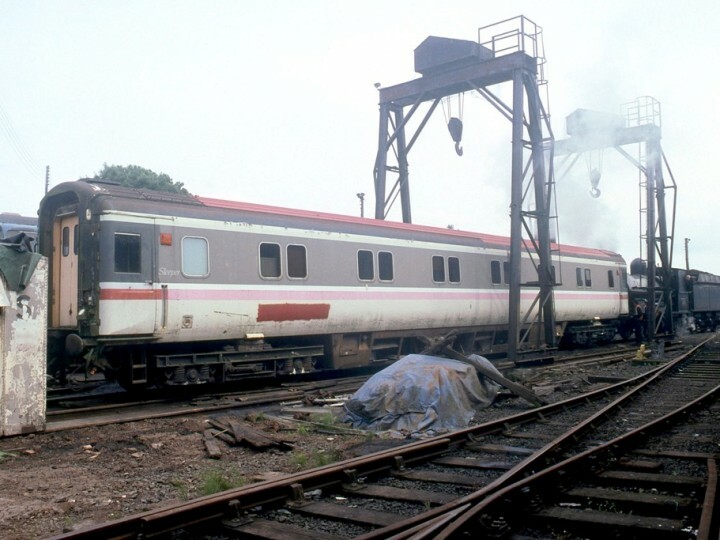 They were introduced to replace an ageing fleet of Mark 1 sleeper cars built to various designs and which dated from the late 1950s to early 1960s. 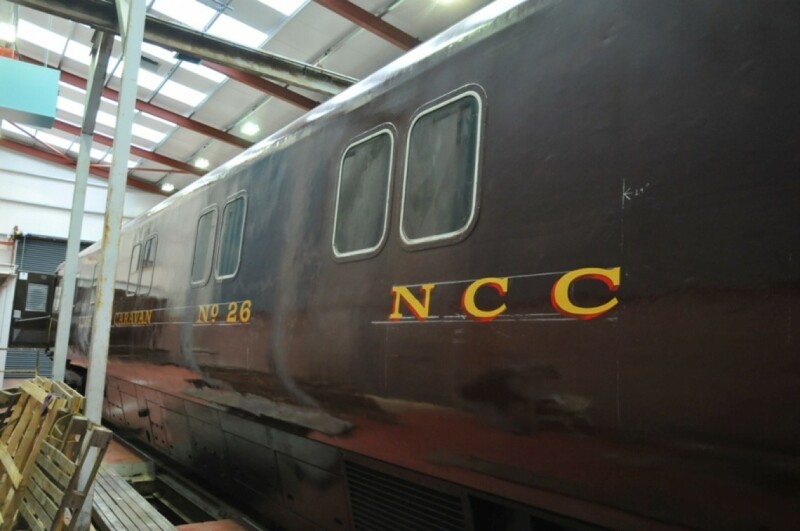 The order consisted of 90 SLE variants, numbered 10646-10734, and were constructed with thirteen bedrooms each. 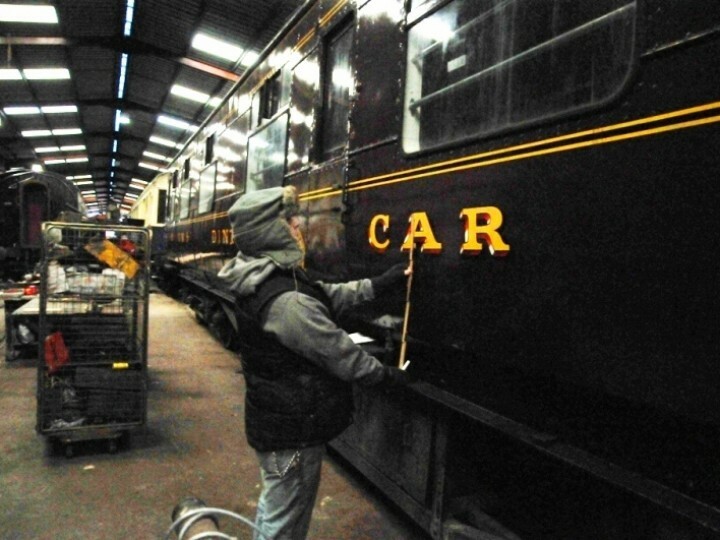 With the decline of overnight sleeper services in the United Kingdom shortly after their introduction at the end of the 1980s, many of the carriages later were moved to heritage railways to provide sleeping accommodation for heritage staff and volunteers. 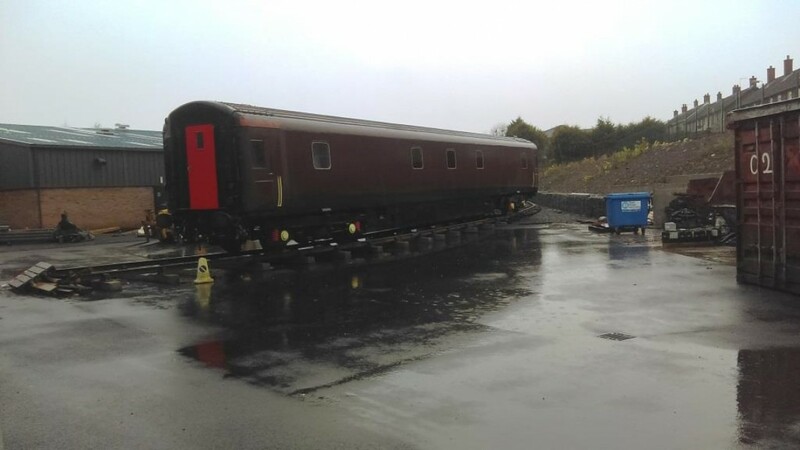 The ex-British Rail Mark 3a sleeping coach (BR No 10651) is used at Whitehead as overnight accommodation for our volunteers. 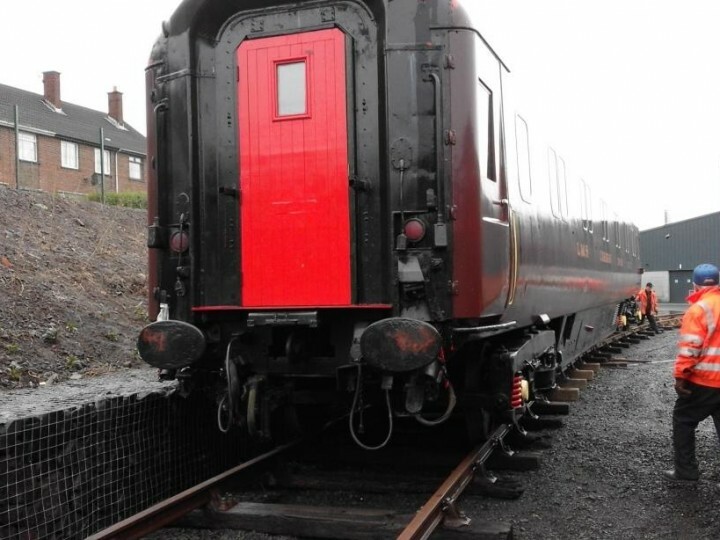 Thanks to funding by GROW South Antrim, the exterior of the coach has been repaired and repainted under contract by HEI and with substantial volunteer input as well. 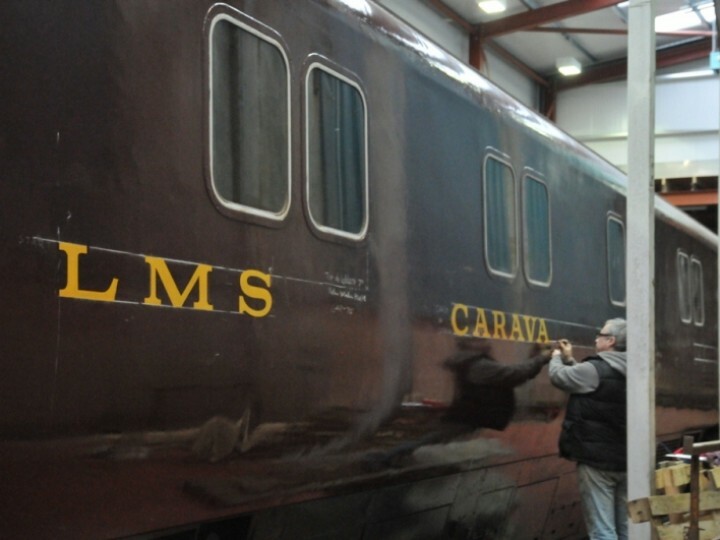 The new livery is LMS NCC unlined maroon and the coach has been renumbered No.26 as the next in the series of NCC Caravan Coaches. 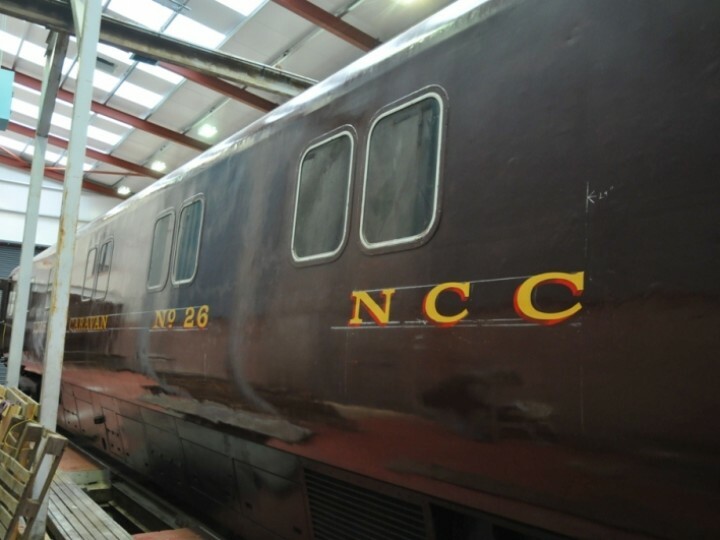 The NCC had 25 Caravan Coaches. 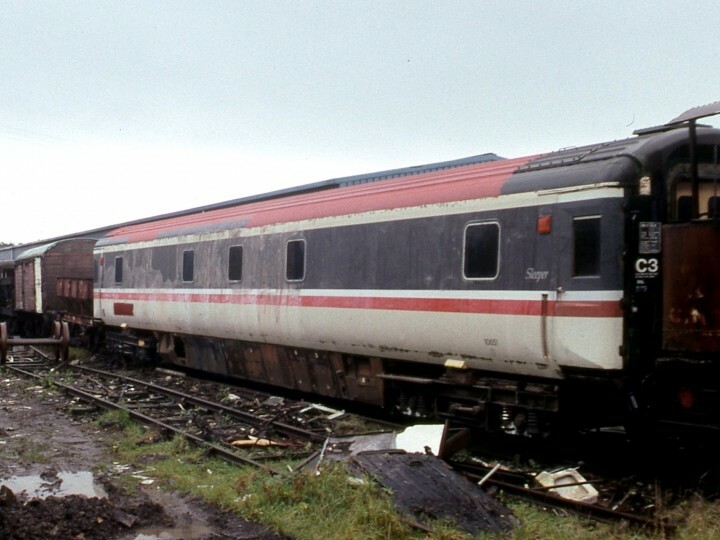 Twenty-three were converted main line 6-wheel carriages - 4 from class Z9, and 19 from class Z10. These were reclassified as class Zc on conversion. 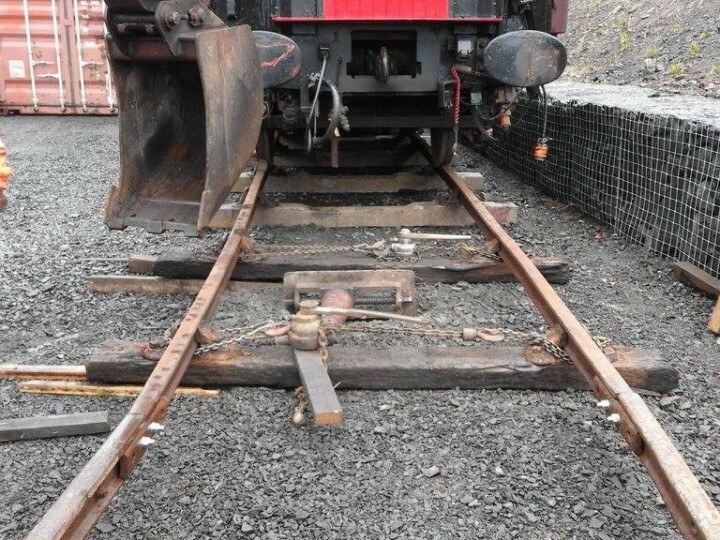 There were also two narrow gauge bodies from the Ballymena & Larne Railway. 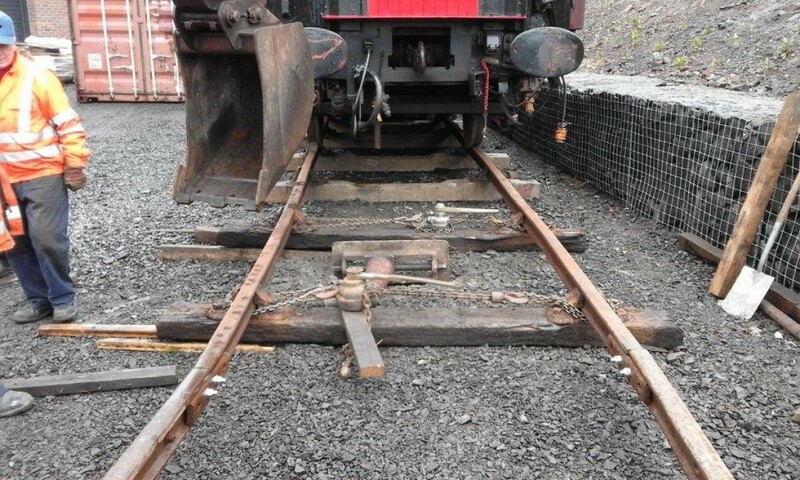 The last two were based at Ballycastle but little is known about the exact locations of the others. 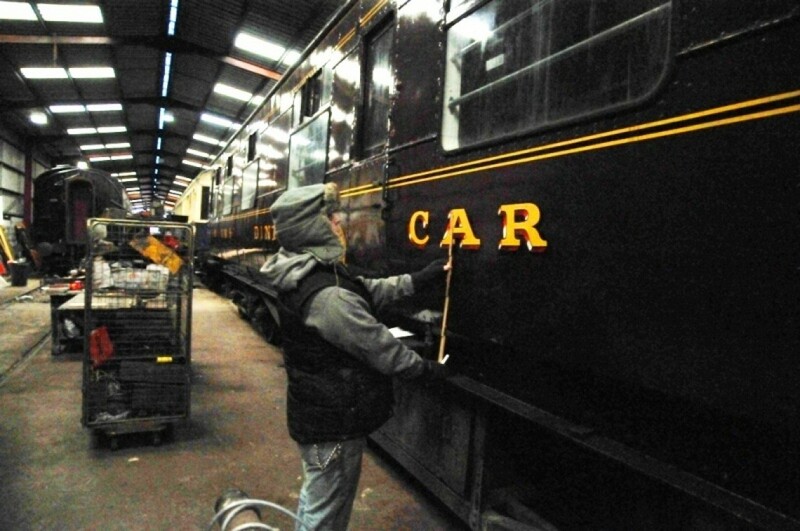 The NCC began converting carriages in 1935 and did so each year until the outbreak of the war. The NCC's 1937 leaflet suggests that there was one at Magilligan, three each at Ballycastle and Portstewart, four at Castlerock and no fewer than five at Whitehead. 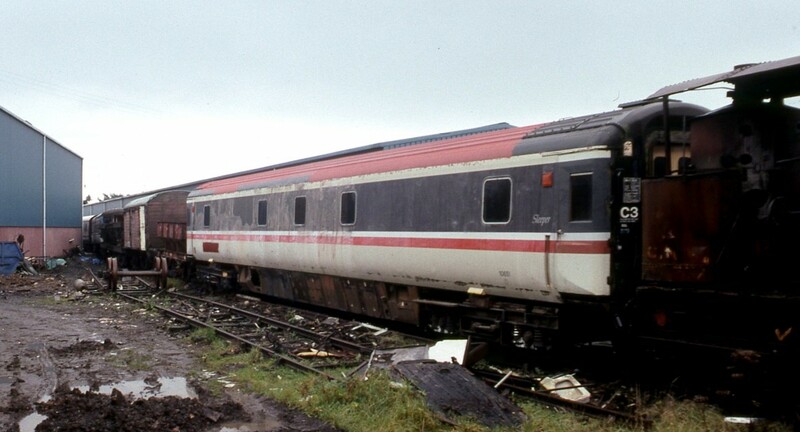 A photograph from the period suggests that the Whitehead coaches were parked roughly where No.4 shed road is now. 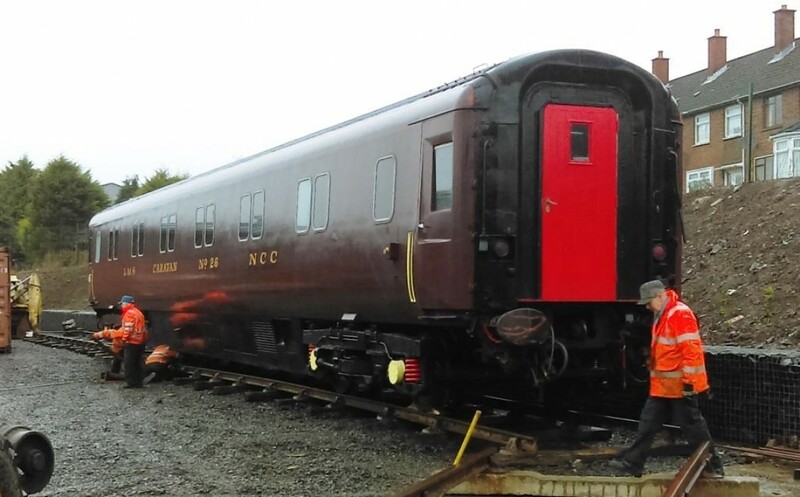 Caravan Coaches were also seen and photographed at Downhill and Ballyclare on the NCC (but the latter might have only been for storage). 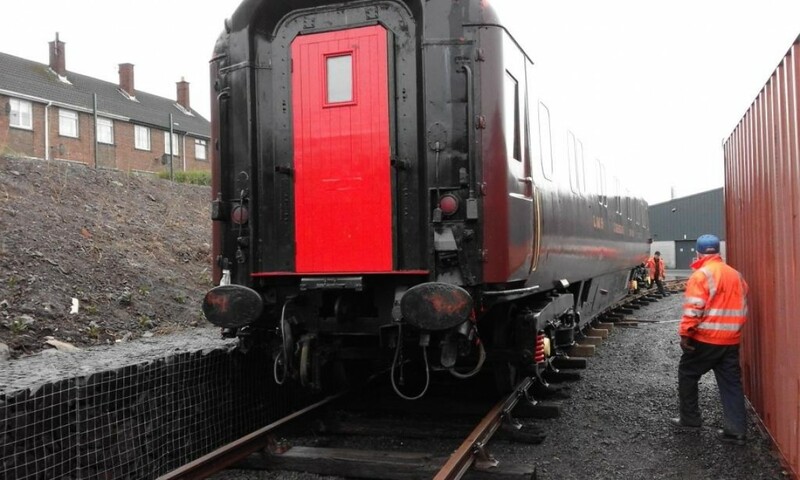 They were also seen at Newcastle and at Donaghadee on the BCDR. 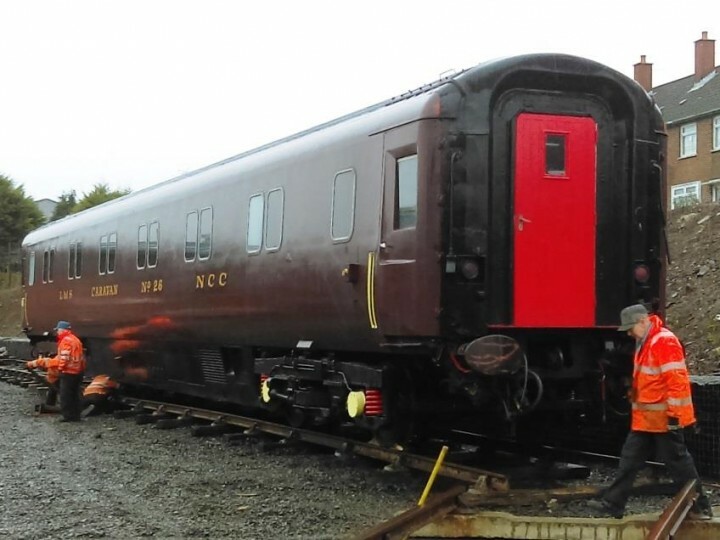 Research is ongoing and an article on these interesting vehicles is being prepared. 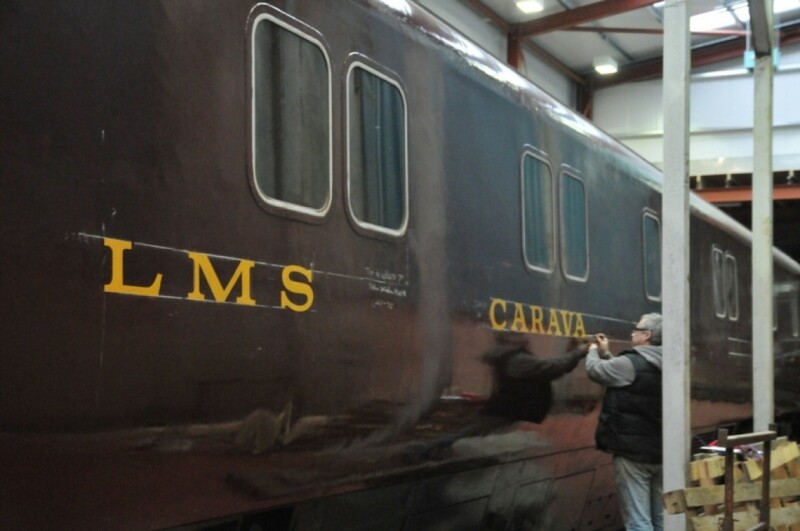 If you can contribute any information, memories or photographs, please contact us at info@steamtrainsireland.com.